On September 22nd, Japanese publication My Navi posted the results of a poll they had conducted. 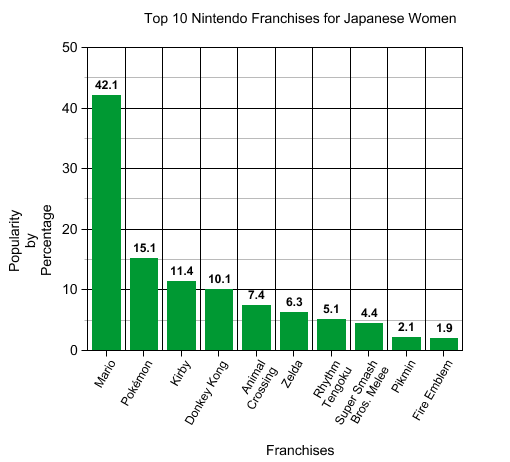 They had surveyed the favorite Nintendo franchises for both Japanese men and women, and lo and behold The Legend of Zelda does indeed rank fairly high. How could it not considering its immense library of releases and several blockbuster hits? 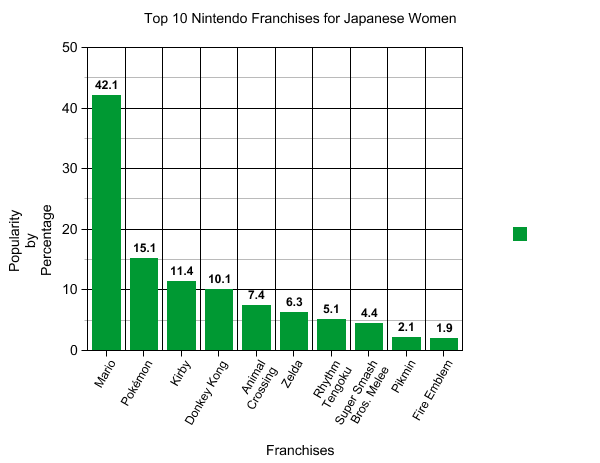 It seems as if Zelda is a bigger hit for the men than for the women, as it is second only to the Super Mario franchise. Perhaps Zelda could’ve ranked higher on the list, but hey, Japanese tastes are different from those of other countries. 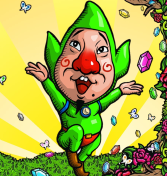 At least Tingle looks happy about this. Lastly, I took the liberty of creating these nifty graphs to display the statistics, so hit the jump to see how Zelda fares! Are you pleased with the results? Do you think Zelda deserves higher or lower on these lists? Feel free to let us know what’s on your mind in the comments section below!